An elegant hole in the wall, modern high efficiency gas fire with great dimensions and proportions. A hole in the wall fireplace such as this can be easily installed into a completely new setting or equally installed into an existing chimney breast. As a glass enclosed fireplace, it has very high heat output as well as clean simple lines with a modern and frameless design. Fully remote control operated, it is perfect for our modern day, convenience lifestyle. With the added option of having “invisible glass” this fireplace is perfect for every setting. 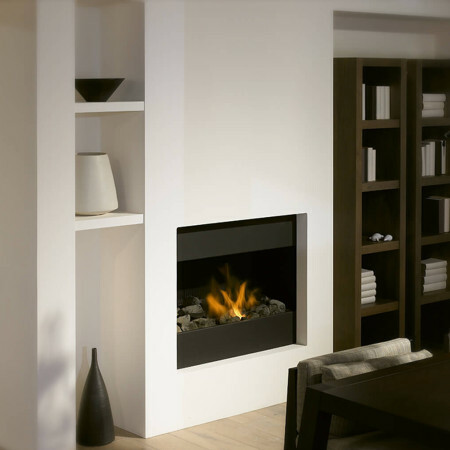 Get in touch to find out more about this high efficiency gas fire.